Abigail “Nabby” Howe Young was born on May 3, 1765 or 1766, in Hopkinton, Massachusetts, to Phineas and Susanna Goddard Howe. She was one of five sisters who were known to be pretty girls with “sweet voices” who sang English madrigals at many social gatherings. She married John Young—a Revolutionary War veteran—on October 31, 1785, and she bore eleven children, including Brigham Young, mostly under primitive conditions, one record saying that she often lived in a covered wagon. She and her husband were members of the Methodist church. 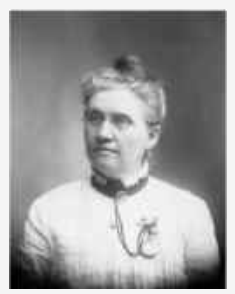 All but one of her children later joined The Church of Jesus Christ of Latter-day Saints. She taught her children to read, write, and do sums and expected them to behave according to her tradition of decorum. Nabby died of consumption on June 11, 1815, in New York, after suffering many years of deteriorating health from the disease. This page was last edited on 1 February 2017, at 13:06.